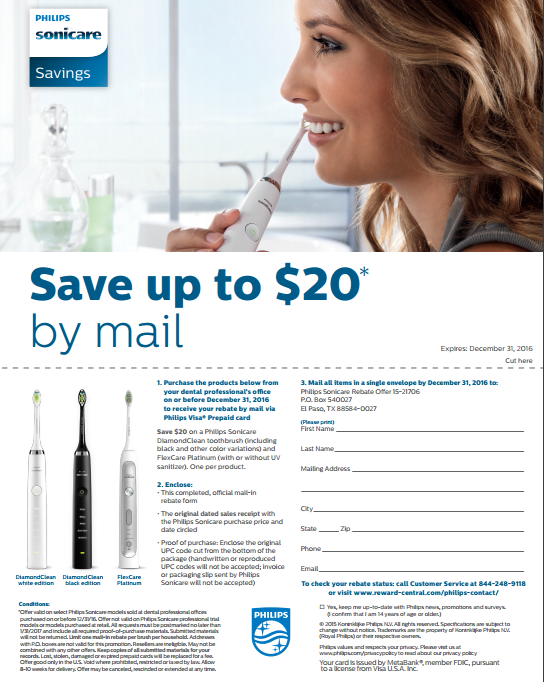 If you’re looking to save some money on a Philips Sonicare Toothbrush this month you’re in luck because I found several rebates for September that you can take advantage of. If the Rebates don’t help I’ve also found four printable coupons for up to $20 off. Better yet use the coupon and rebate !! The first Sonicare rebate I found was this manufacture rebate that will save you $20 off when you purchase either a Diamond Clean or Flexcare Platinum. You can print the rebate form here. 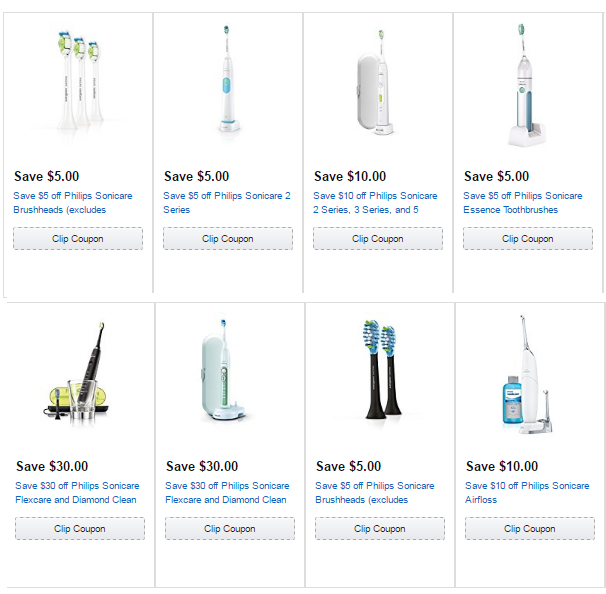 If you’re not looking to spend $200 on a electric toothbrush Bed Bath & Beyond has several rebates for the cheaper electric toothbrushes including rebates for Essence, 2 series, 5 series, Flexcare, Airfloss and Brush Heads. You can print the form off here. That’s everything I’ve found for this month so far I’ll keep searching and will post any others I find. Don’t forget to let us know about any other sales or coupons you find ! This entry was posted in Philips Sonicare Coupons, Sonicare Rebate Forms and tagged 2016, Bed Bath and Be, coupons, Manufactue rebate, September, sonicare rebate.